PVPCraft- is a quality 16x16 textures on Minecraft PE 0.12.1. Texture pack is very different from the traditional. The author has made it especially for PvP battles. 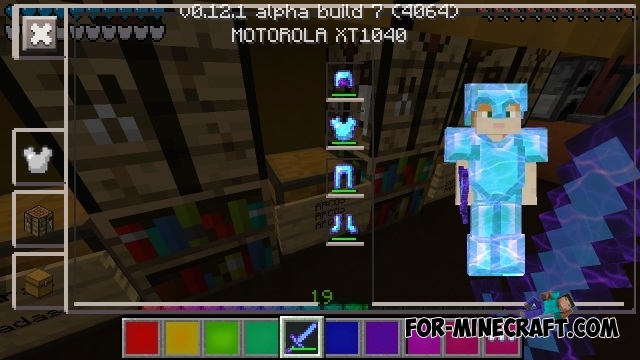 Have been changed almost all of the items from the particles to the inventory. Bright and cool design will please many players. Wie l?dt man es sich herunter oder besser gesagt wie bekommt man das Texturen pack? Wie ladet man es sich herunter oder besser gesagt wie bekommt man das Texturen pack? thats an APk file, and that 19mb bigs of file and not same with final update mcpe 0.12.1 what thing you added in that mcpe apk file + texture?